Join Chris Dunkerley, Kevrenor: Bard of the Cornish Gorsedh and Secretary of the Cornish Association of New South Wales as he delves in to the history of the Cornish in New South Wales. The early history of the Cornish in New South Wales (NSW) is a varied one; but different in 3 key ways from their cousins in the other Australian colonies: Cornish immigration started early, from the First Fleet of 1788, well before mining became significant from the mid 1840s; Cornish pursuits were diverse – farming and urban trades were as prominent as mining;The Cornish were spread widely and more thinly – most of NSW now having between 2-3% Cornish ethnic strength and no large long-lasting major concentrations. ‘The Cornish and mining in NSW’ would fill many magazines, so I look very briefly at just a few areas of Cornish mining in NSW (barely leaving the 19th century), skimming over many other places and details, and giving just three stories of people involved. By 1829, a ban prohibiting settlers selecting land west of the River Macquarie (130 miles west of Sydney) was lifted. A Cornish farmer, William ‘Parson’ Tom, chose acres at the junction of Lewis Ponds Creek and Sheep Station Creek. Soon other Cornishmen settled in the area – Hawke, Glasson, Lane, Grenfell, Pearse, Thomas, Oates and Paull. It is no surprise to find that this area became known as Cornish Settlement. By the 1840s the colony was expanding its quality pastoral industry to supply mills in the UK. The land expansion of European settlement was huge. Anything that was likely to depopulate the grazing properties, such as gold finds, had been hushed up. There was copper though in the hills around these Cornish folk we have just met. Cornish Settlement, now called Byng, became a small scale copper mining centre for 80 years (eg. the Carangara mine) but reverted to pastoral lands after the 1930s. Only scattered low level ruins remain. And there was gold! Picture this scene: It is early 1851, the family of William Parson Tom and friends are assembled in the front room, watching a visitor putting together a strange device which he rocks cradle-like. A party of four men then set out from the Tom house: William Jnr and James (sons of William Tom), friend John Hardman Australia Lister, the son of a ships captain and the visitor (Edward Hammond Hargraves). They have heavily-laden pack-horses. After a difficult time, they return disappointed from their week’s search for gold. Hargraves had taught them to use a panning dish as well as the cradle, but took his leave and set out for other places. A little later, the Tom sons and Lister set out again and this time they actually found gold only eleven miles from their home. William Tom Snr was going to Sydney and he took the 4 oz. 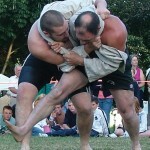 of gold and handed it to Hargraves. William Jnr and James Tom did not hear further from Hargraves. They wrote again but no reply came. The Select Committee submitted their report and it was published on 2 September 1891. It reads as follows: ìYour Committee having carefully considered the Report referred to them, find as follows: That although Mr. E.H. Hargraves is entitled to the credit of having taught the claimants, Messrs. W. and J. Tom and Lister, the use of the dish and cradle, …your Committee are satisfied that Messrs. Tom and Lister were undoubtedly the first discoverers of gold obtained in Australia in payable quantity. Another nearby centre, purely mining, Cadia, is today part of a massive open-cut mining operation which can be seen from planes flying from Sydney to Adelaide. 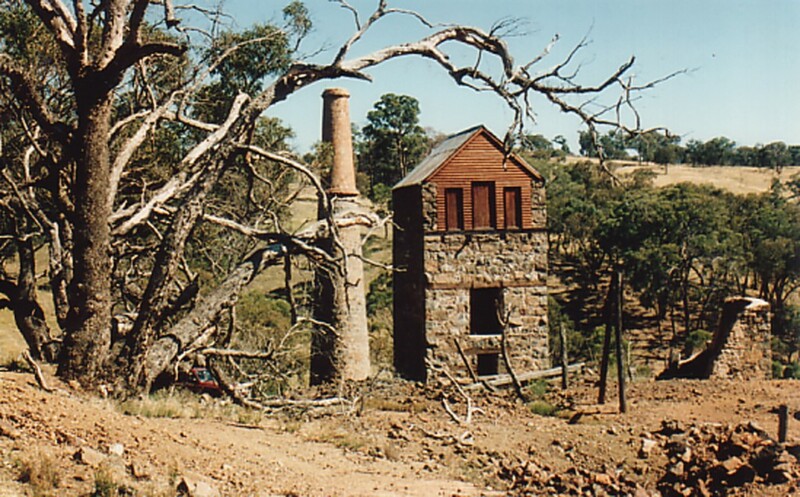 A massive load of copper, with gold, and other metals, to the south of Mt Canobolas in the Orange District, attracted Cornish miners to Cadiangullong Creek. The first NSW Government Geologist Samuel Stutchbury reported in July 1851 that there were copper lodes in the Cadia locality 160 miles west of Sydney on the western slopes of the Great Dividing Range. A stream known as Oakey or Cadiangullong Creek runs through it from north to south. Around 1860, owners of a property on the west side of Oakey Creek began sinking and driving, reporting a lode 70 feet wide, composed mainly of red oxide and green carbonate of copper. In July 1861, the Scottish Australian Mining Company (SAMC) leased the Cadia property and began operations at their Oakey Creek Copper Mine, later Cadiangullong Copper Mine. 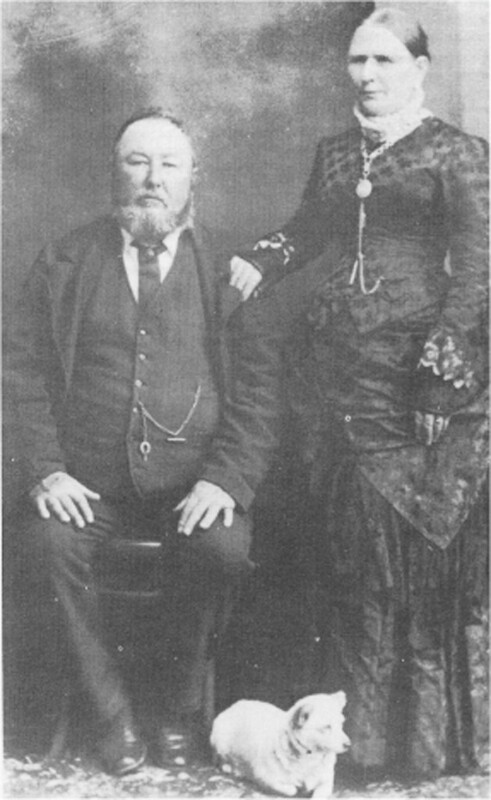 In August 1861, Captain Josiah Holman (born in Gwennap, Cornwall in 1821) was appointed as manager of the Cadia mine, after gaining wide experience all around the World. A shaft was sunk to 23 fathoms (42 meters)and construction of an engine house was begun. A 25 inch Thomas engine from St Austell designed for a mine at Yass was moved from Sydney to Cadia in February the following year. A year later the lode proved to be poorer at depth and exploration was directed to a lode a half mile to the south. A new mine was developed called West Cadia (later called White or Big Engine Mine). In 1865, the 25″ rotative engine was moved to the new site and erected. Because copper prices were low, the Company closed the mine two years later, after 2,000 tons of ore averaging 12.5% copper had been produced. 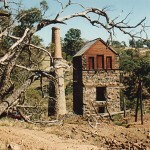 Captain Holman leased the Cadia property from May 1870 for sixteen months, working the mine on a small scale with only occasional use of the beam engine. Captain Holman was away in Queensland from 1871 to 1876, but from August 1876 until September 1878, the mine produced another 1,020 tons of ores of nearly 11% copper. Typically he had taken up farming, only periodically working the mine for copper. Holman died at Cadia on 18 February 1893. The headstone to Captain Holman and his wife originally stood approximately 1 km south, near a road culvert, constructed using the old engine boiler shell. With the renewal of very large scale open cut mining operations by Newcrest Mining Ltd in recent years, it was found necessary to move all the buried casks from the old Cadia Cemetery, to a new site on the ridge above the site of the White Engine House. The headstones and the casks were moved to this new Cemetery. The Holman headstone was also moved to a prominent place in the new cemetery. The search continued. Gold was found at Sunny Corner west of Lithgow and then in 1881 a reef of silver. The Cornish were at the forefront of miners there, many staying on again to farm. 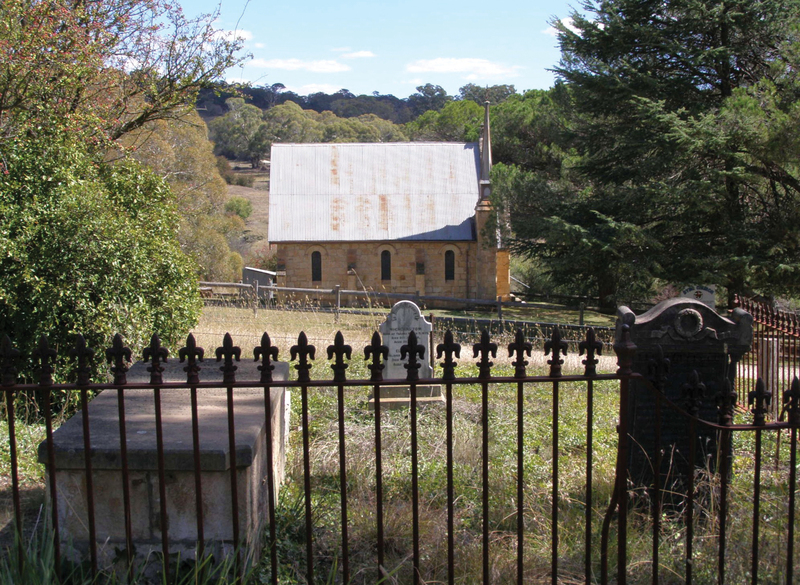 Adelong on the Southern Slopes in 1875 had 13% Cornish born population looking for gold. By the end of the century it had fallen to just over 1%. 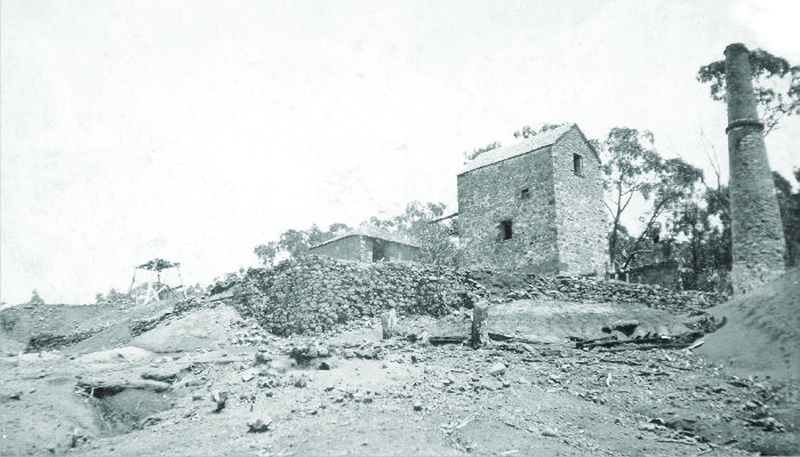 From Adelong, a short gold boom occurred at alpine Kiandra around 1900, and then at the Araluen gold fields. The Cornish and their descendants had moved east to the coast to take up newly opening pastoral land left by the loggers. 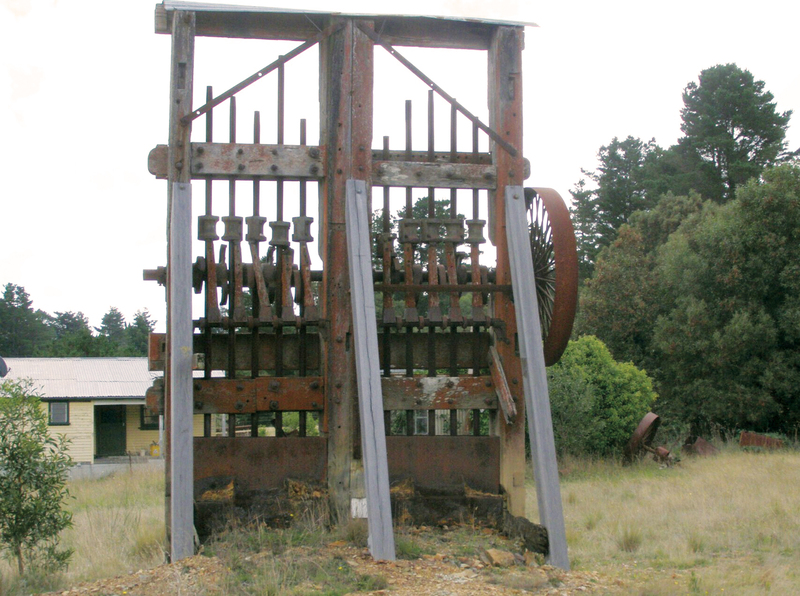 The north of the state had a similar area in the Emmaville/Torrington tin mining fields just north of Glen Innes. As late as 1990, the area had small tin mines run by Cornish descendants, the Toys, with the only continuously active ‘Cornish buddle*’ but most had moved west or east to farming. Two NSW exceptions, disproving the ‘no major centres rule’, are the large scale mining centres of Broken Hill and Cobar. Both started late in the 1800s, but the ‘Barrier’ mining area at Broken Hill is really an extension of the Cornish mining experience in South Australia, not indicative of NSW. The copper finds around Cobar and Gilgunnia, nearly 400 miles west of Sydney, has a slightly different story. In 1870, three well and bore sinkers had stopped at a waterhole. They had admired the beautiful blue and green colours on the sides of the ‘Kubbur’ rock-hole, well known to local aboriginal people as a valuable source of water and as a place where material could be gathered for painting themselves for corroborees. 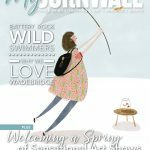 On their way south, the three met up with two friends who ran a general store and wayside inn at Gilgunnia, Henry Kruge and his wife and Sidwell. Sidwell (nee Woolcock) had been a ‘bal-gal’, or bal-maiden, probably aged 14 or 15, in Cornwall before travelling to South Australia in about 1850. She identified the samples as containing copper, and Henry smelted it. This find was huge – millions of pounds/dollars of mineral wealth have been extracted to this day from the region. there are many more stories to be told. 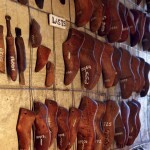 This article is a compilation of material that draws very heavily on work by others, especially Dr John Symonds; plus the late Pat (Lay) McCooey, and late John Rule.